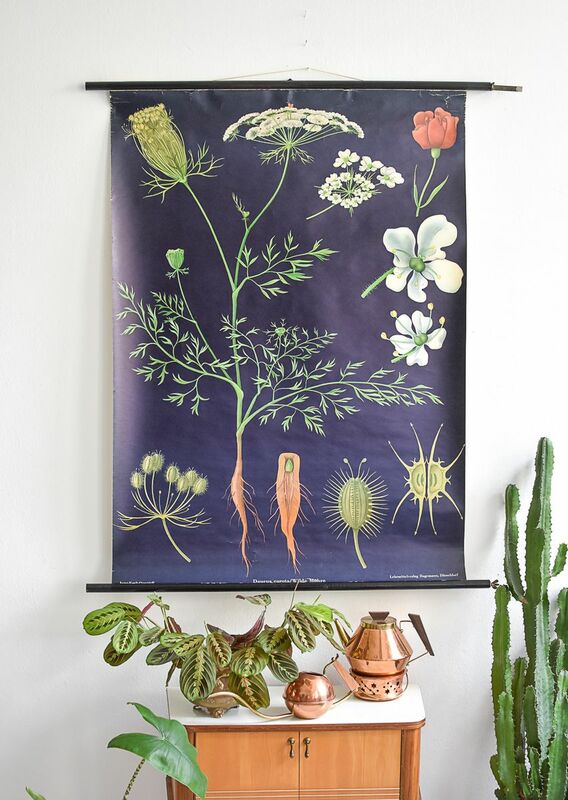 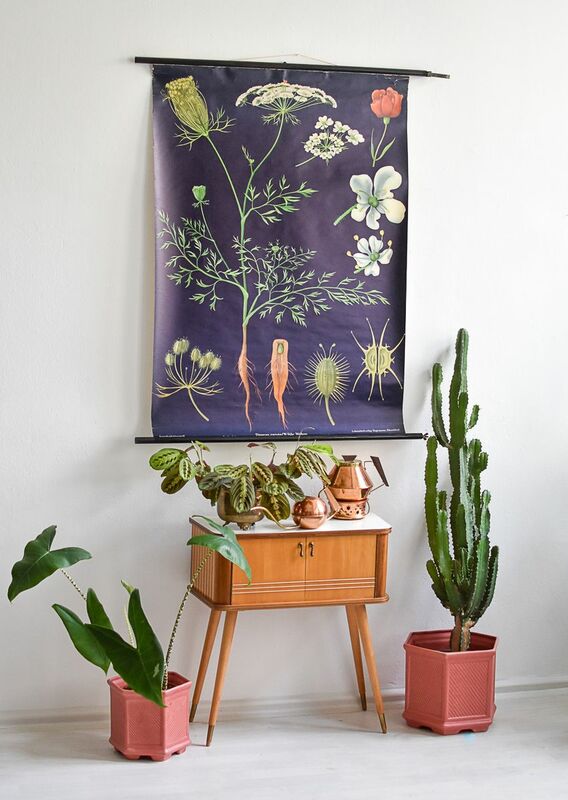 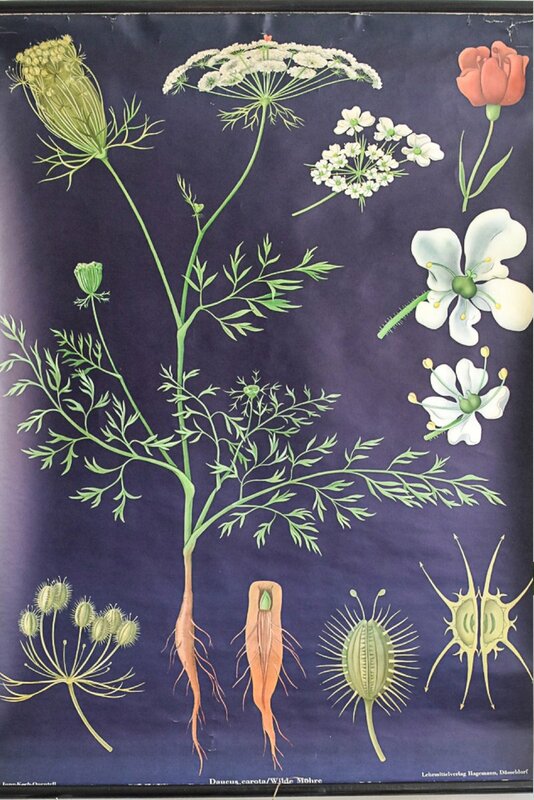 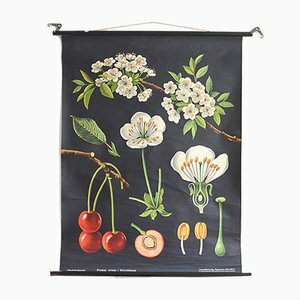 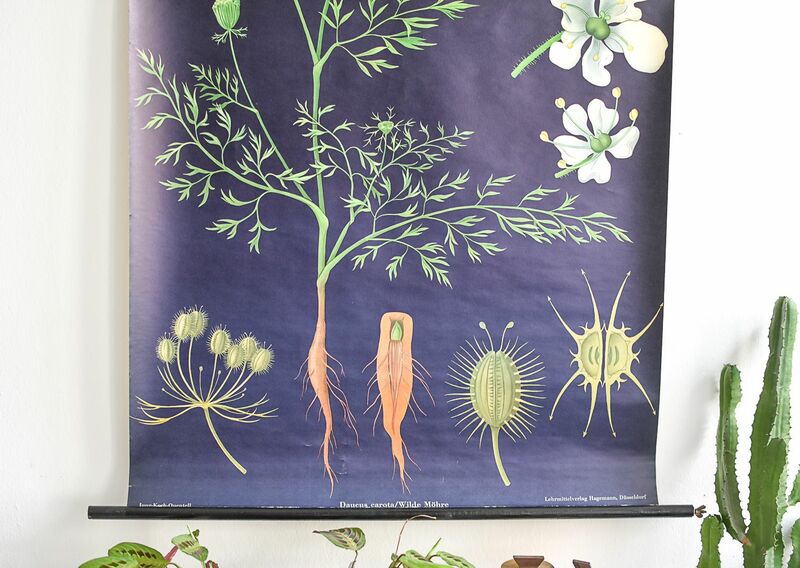 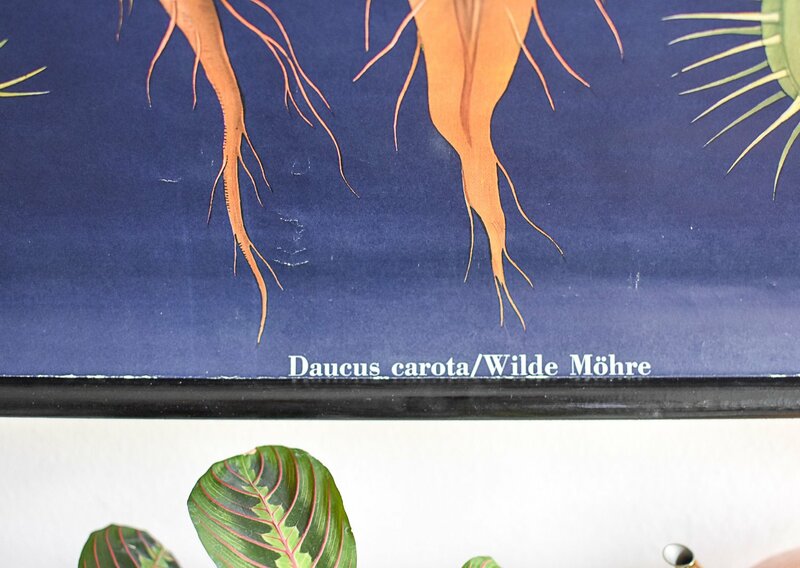 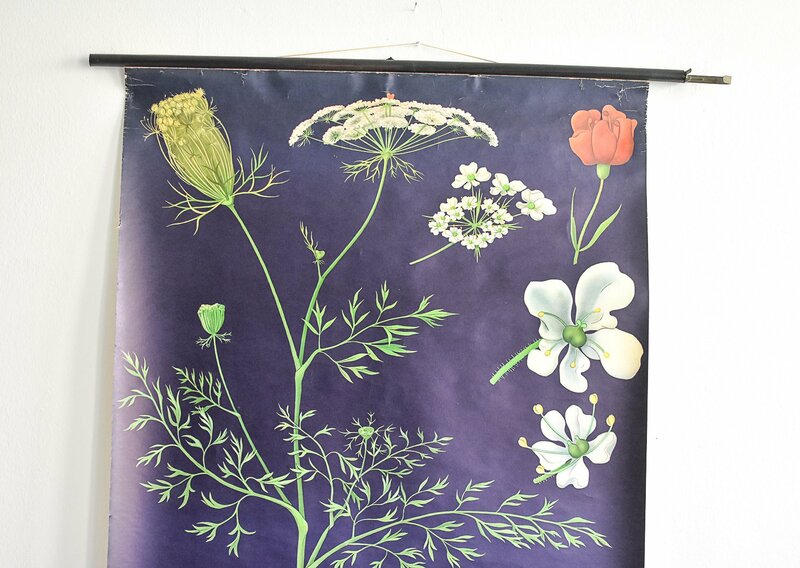 This poster of a wild carrot was created by painter and biology professor Gottlieb von Koch at the turn of the century. 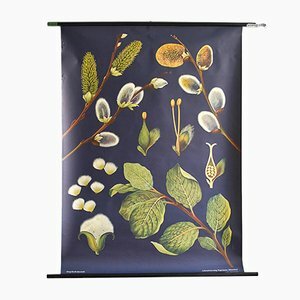 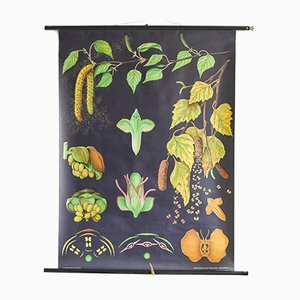 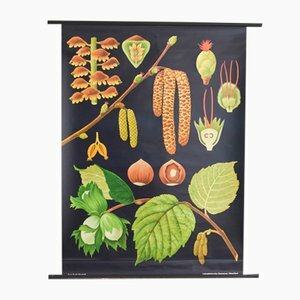 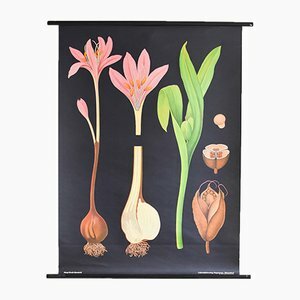 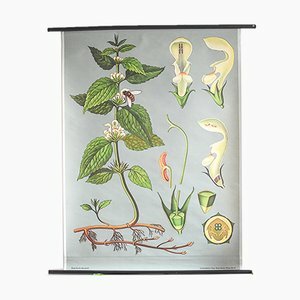 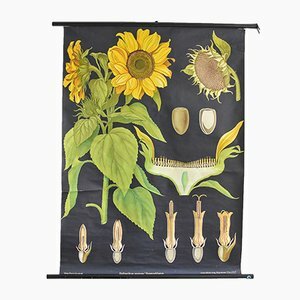 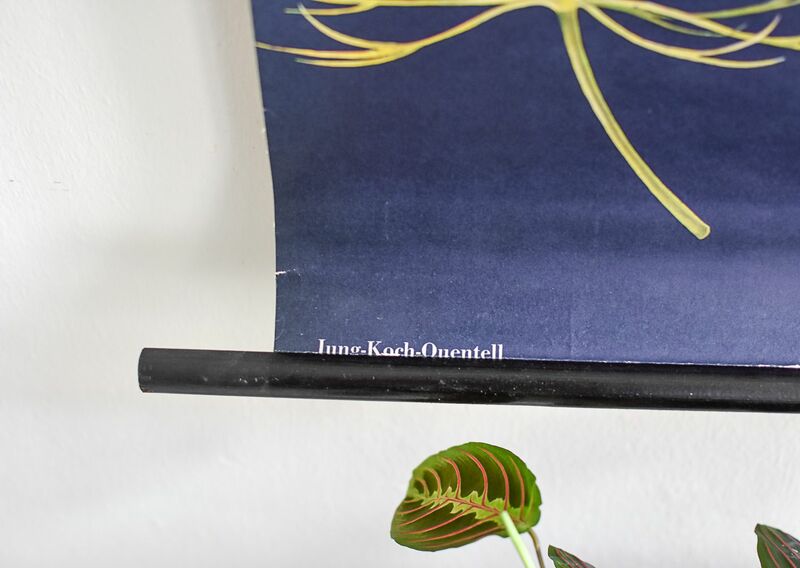 Together with college director Dr. Friedrich Quentell and the teacher Heinrich Jung, he created a series of botanical and zoological charts. 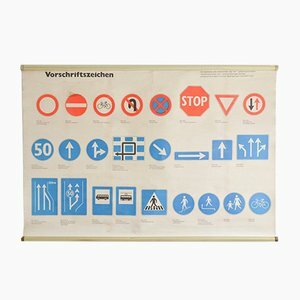 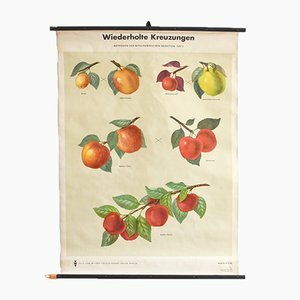 Up until 1930, Jung Koch Quentell charts were published by Fromann & Morian, a printing house in Darmstadt that existed from 1850-1930. 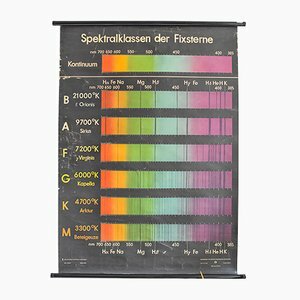 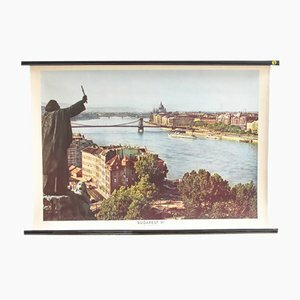 After the war Hagemann, a publishing house of educational media bought the rights to Jung Koch Quentell charts and started to publish them. 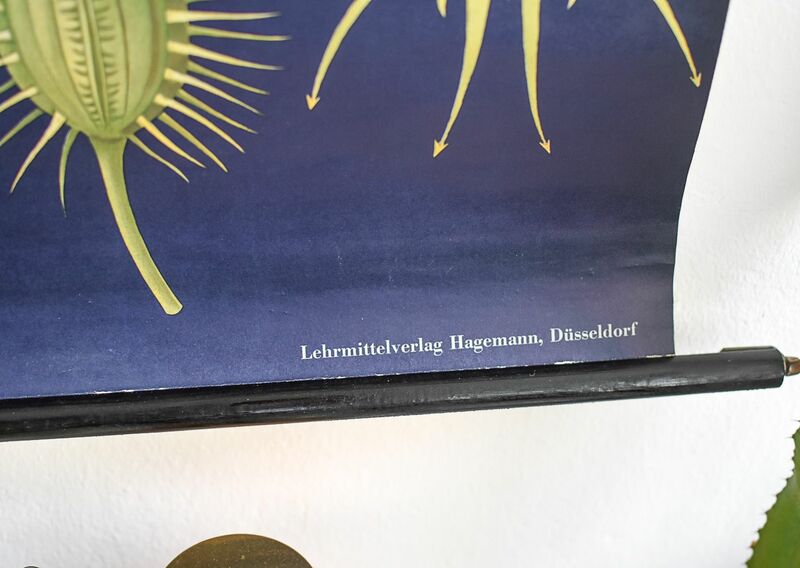 Vintage Palisander and Tropical Wood Veneer Sideboard.